Greece: Three “Fileleftheros” journalists arrested for defaming minister – IFEX – This “crime” against freedom in home of democracy – shame. Three journalists were arrested and held overnight in an Athens police cell after the defence minister, Panos Kammenos, filed a defamation complaint against them. ROTFLMAO – he’s no match for Justin! 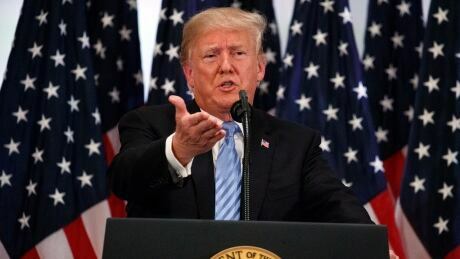 U.S. President Donald Trump said he rejected a meeting with Prime Minister Justin Trudeau because of Canada’s dairy tariffs and negotiating style. The United States supplies bombs and other support for the war that’s killed civilians and is creating famine. A week after internet rumors started circulating about Christine Blasey Ford, misinformation is still spreading about her and two other women. India is finally all set to ink the $5.43 billion (over Rs 39,000 crore) deal for five advanced S-400 Triumf missile systems from Russia, brushing aside the threat of US financial sanctions that were last week imposed on China for buying the same air defence system. In the 2012 database, one person named Anatoliy Vladirovich Chepiga were listed as residing in Moscow. This man was born on 5 April 1979. 50,000 Jewish settlers on Wednesday vandalized the Al-Aqsa Mosque and carried out Talmudic rituals in parts of it, under the protection of the Israeli occupation forces. Since last Friday, over 2,000 Israeli settlers and policemen have entered the compound to mark the weeklong Jewish holiday of Sukkot, which will end on Sunday. Local sources in Jerusalem said that the settlers entered the mosque yards through the Mughrabi gate in successive groups, carrying provocative tours and public ceremonies in the area of ​​”Bab al-Rahma” located on the eastern side between the door of the tribes and the Marwani Mosque. Sources added that 50,000 settlers performed Talmudic rituals in front of the Al-Aqsa Mosque and in the courtyard of Al-Buraq Wall, AKA Western Wall of the mosque. The Old City of Jerusalem and surrounding areas are subjected to tight security measures to ensure the guarding of settler gangs during and after their return to and from the Wall of Al-Buraq. The occupation has deployed thousands of its members in the area, amid infantry and mobile patrols, police and military checkpoints and a near-total siege. Israeli occupation forces also closed main and sub-streets in the town of Silwan, south of the Al-Aqsa Mosque, in support of settler marches starting from the settlement outposts in the town towards the Al-Buraq Wall, causing a severe traffic crisis.